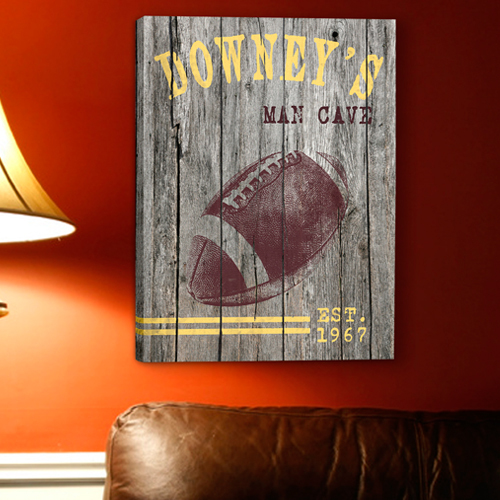 * Our personalized, gallery wrap, canvas prints are ideal for his special room, man cave, den, home bar, garage or basement. 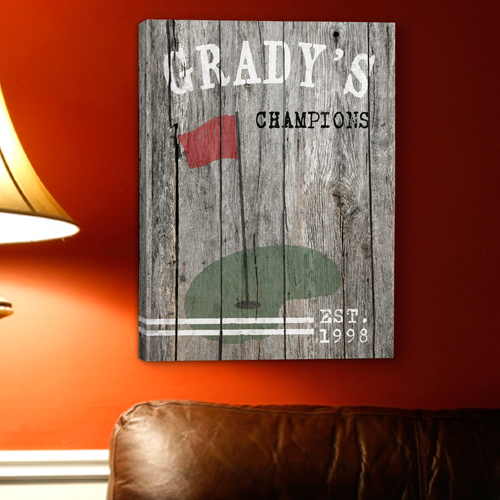 * These unique, personalized canvas signs add a classic look to the walls of his special nook or any other wall space. 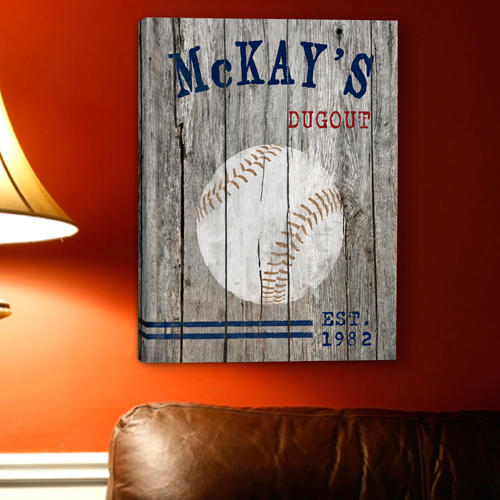 * Available in five vintage images, the weathered wood background of these quality canvas prints carries around the side of the frame for a complete look. * Ready to hang, these canvases include personalization of his name up to 15 characters at the top of the sign, up to 30 characters open text of your choice below name (be creative) and established year. 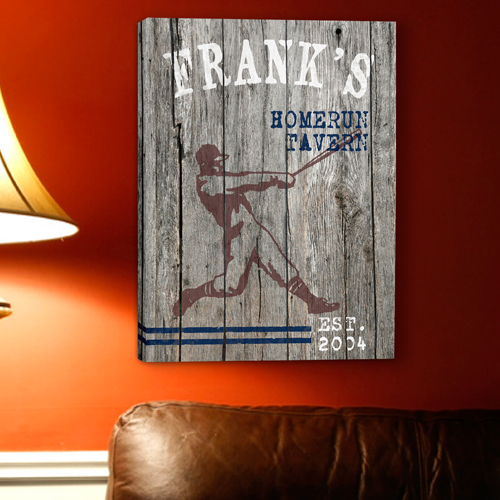 * Canvas measures 14" x 18" x 1 1/8". * Please note, length of open text may cause it to wrap to a second line.